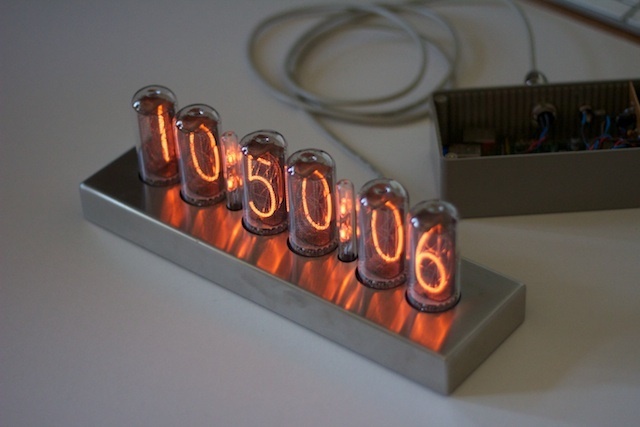 NTP driven Nixie Clock, Run from a Raspberry Pi #piday #raspberrypi @Raspberry_Pi « Adafruit Industries – Makers, hackers, artists, designers and engineers! I thought it would be fun to build a Nixie Clock, but I wanted one which got the time from the Internet using NTP. That way, it would always be accurate, even jumping forwards and back to accommodate summer time. My initial plan was to design my own clock, but it seemed unlikely that I’d make anything which looked as good as the kits, even were I to spend a lot of time on the process. Perhaps I could adapt a kit: most of the clocks have a microcontroller inside, so my next idea was to take an existing clock kit and hack the firmware. That seemed easier, but then a better idea struck me: some of the clock designs accept NMEA data from a GPS receiver. I was sure I could replace the GPSr with a computer and fake the signal. 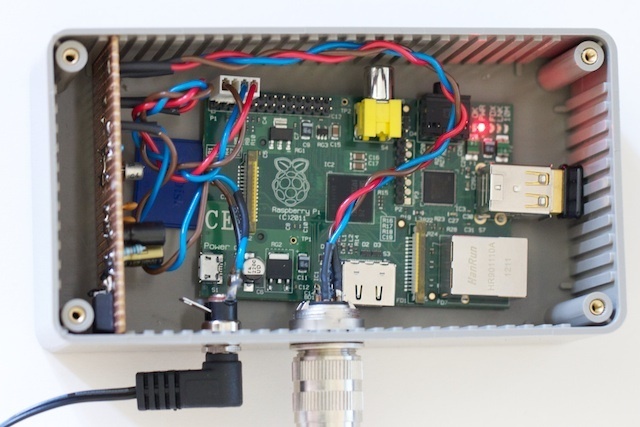 …To synthesize the fake GPS signal, a Raspberry Pi seemed the obvious choice: it’s cheap and small, yet runs a full Linux distribution. To avoid running an Ethernet cable, I installed one of those dinky USB WiFi adapters. The software is pretty trivial. In fact, the most difficult part wasn’t making the serial port say the right things, but telling the kernel to keep its hands off! Happily Clayton Smith provided an excellent recipe to do this. By contrast, the software itself is just a few lines of Perl. You can grab the code from github….